In a roundabout way, this article is about two things: my continued fascination with the League of Legends community and my strong believe in the power of transparent game design. 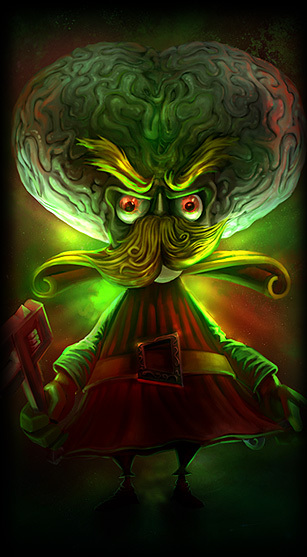 If you spend any time on League forums or fan sites, you will find a mind boggling amount of creativity. You'll also find heated arguments about the most esoteric and minute pieces of design, often completely fictionalized. I have seen several threads in which players argued about the relatively power of one champion or another. But these aren't just "which Sonic character do you like better" scenarios. Fans will start calculating damage output per second based on common item builds. They will create hypothetical situations in which one character's utility trounces another. They will even imagine tweaks to each character that would make them stronger or weaker accordingly. For many League of Legends players, fandom is inseparable from game design. The hours players spend analyzing new characters is impressive. Each new champion is dissected and criticized, and the same goes for items in the game. I've also seen numerous players offer design tweaks for items, some that are rarely used, or even create their own. They might not always be intelligent design decisions, but the act of participating creatively with the work is undoubtedly educational. Both Riot's commitment to clarity in design and open communication with their players facilitate game literacy among their players. Their regular videos that breakdown their reasons behind design changes are amazing and all too rare in the industry. Even when they fail in creating a balanced and well constructed character, they often describe why their initial design didn't match their vision. Their level of honesty is enviable and not only makes for a better community, it makes for a smarter player base.